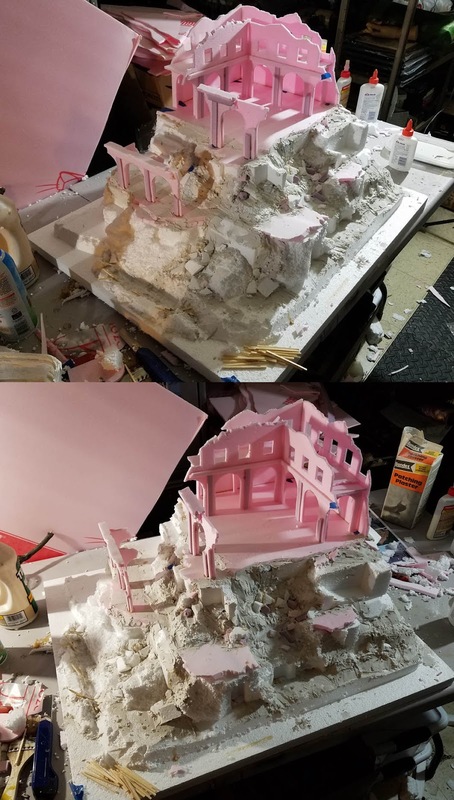 Each of the miniatures are one piece, detailed but solid. They also have quite a bit of detail, as you can see here. Here's a link to the campaign, which is approaching the final day! 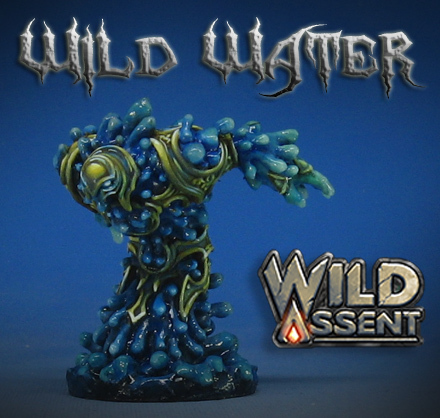 The Age of Sigmar Medusae unit was a fun way to begin the Army Painter video series! 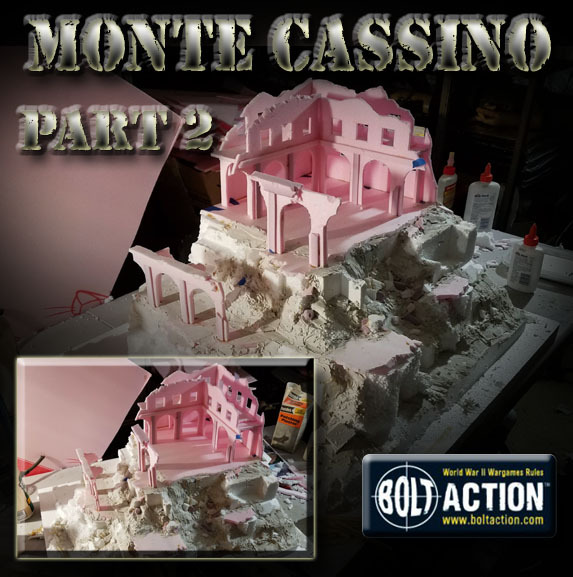 As with each set of tutorial videos, I start out with the basing. 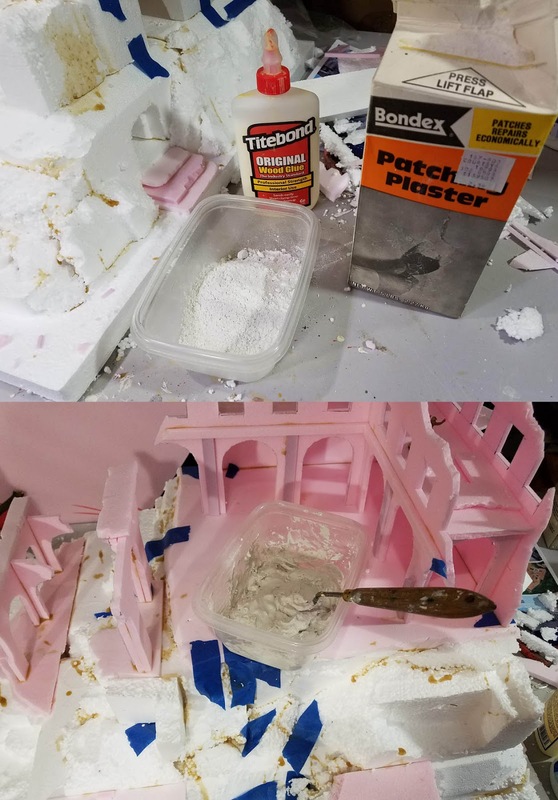 This involves more than just making a batch of bases... I try to go deeper into how to manage time and thereby your choices. I give examples of how much time is added by adding various extra effects, and if it is worth spending that additional time. We all have very little of that precious resource to spend on our own armies, so understanding the implications of each choice can mean the difference between getting it done when you need it or never completing it in the first place! 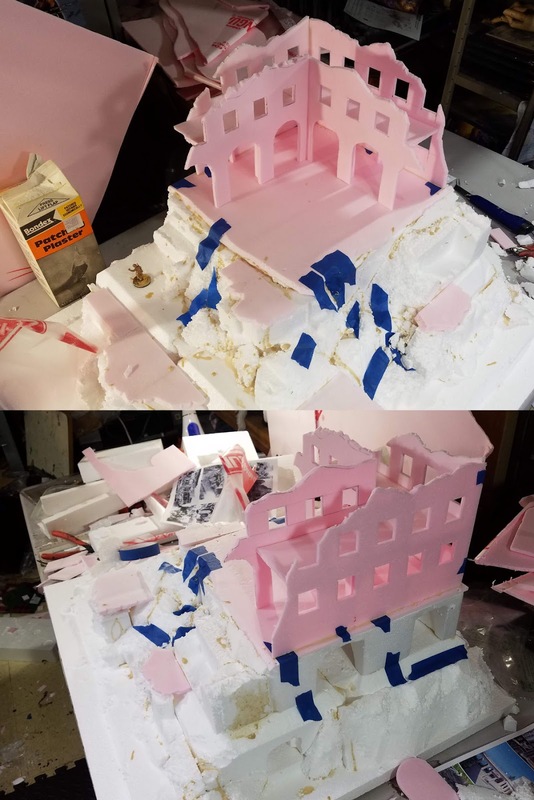 I attempted to show what impact adding things such as Object Source Lighting and Non Metallic Metals can add in a visual sense, but also how that makes each piece potentially take longer. Of course, I am also trying to show how to make those extra effects take less time, and where "savings" can be found! 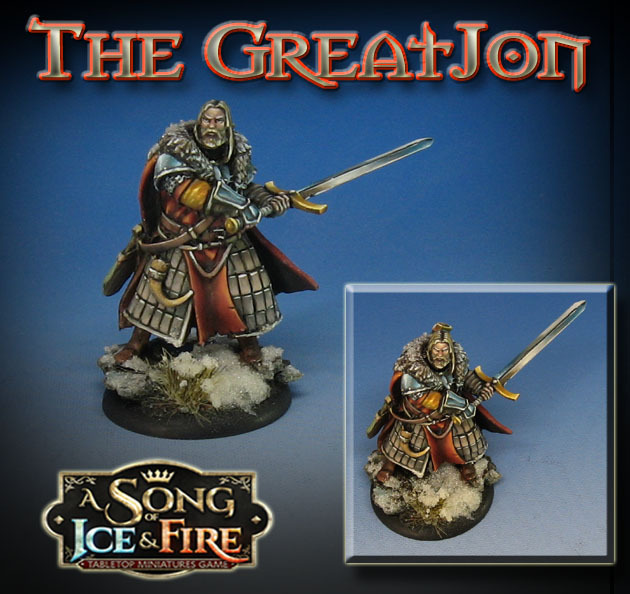 This GreatJon figure from the Song of Ice and Fire miniatures game was painted in oils, using mostly the Mig Ammo Oilbrushers. It was a lot of fun to do various blending of colors, etc. a few hours after the paint had been applied to the figure. The idea behind the use of oils is to make it easier to work on large batches of figures at the same time, as the figures themselves become the palette! 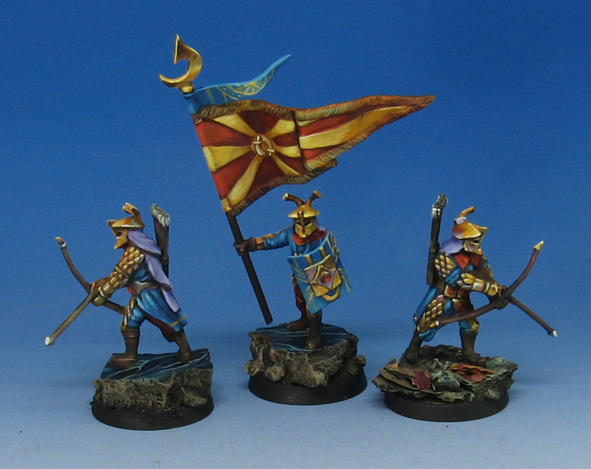 This will allow me to work my way through an army more quickly, but still get the same kind of subtle color transitions as I might on a single figure. 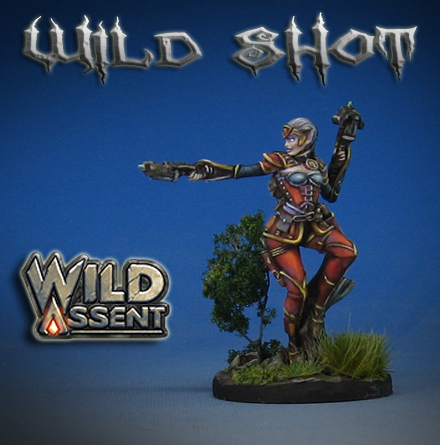 In fact, this figure was painted at the same time I was working on the Winter Soviet Bolt Action minis. One of my favorite features of the Song of Ice and Fire minis are the weapons. 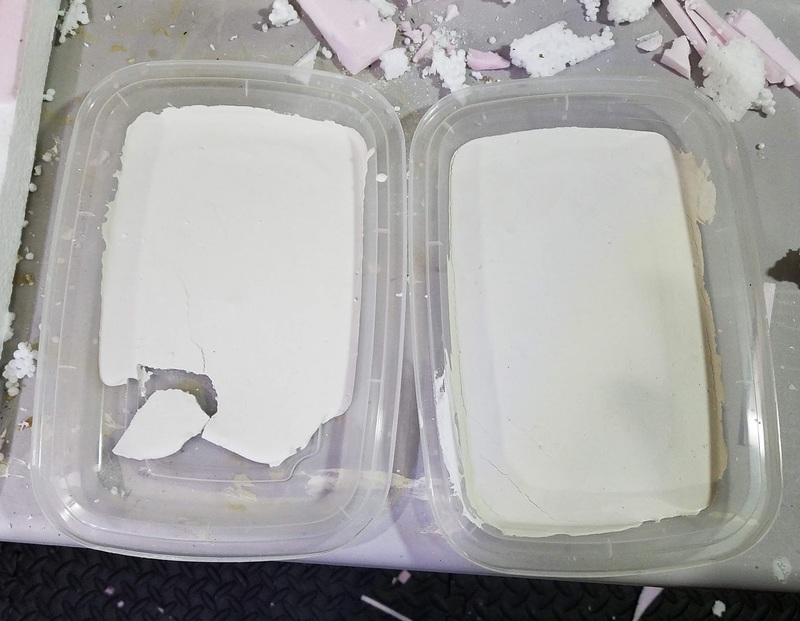 These are well cast from a stiffer plastic, which means they are very strong, and have little to no clean up! Practically a perfect weapon every time. 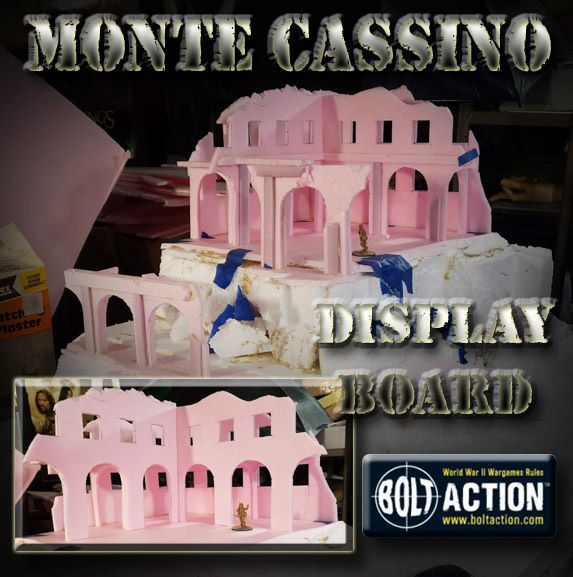 Stage 1 of the Monte Cassino display board begins with a collection of refuse I have been collecting for years. 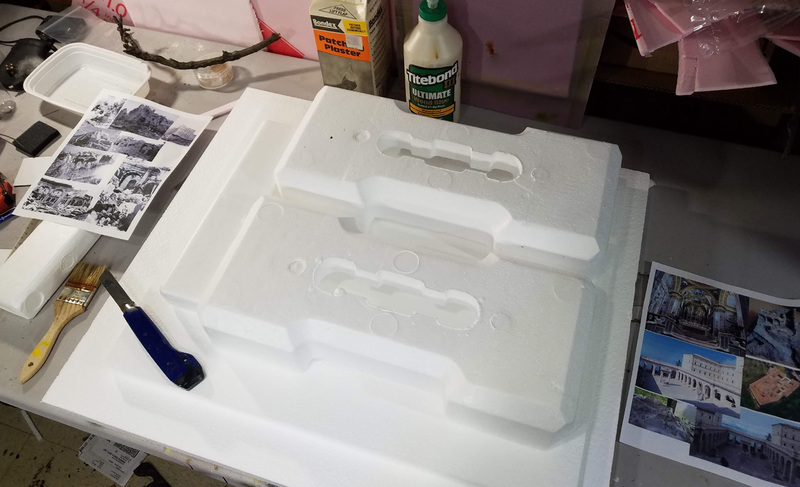 Normally I would toss out these styrofoam chunks from various heavy packaging, but it seemed like it could be useful for making taller hills for my Bolt Action terrain boards. 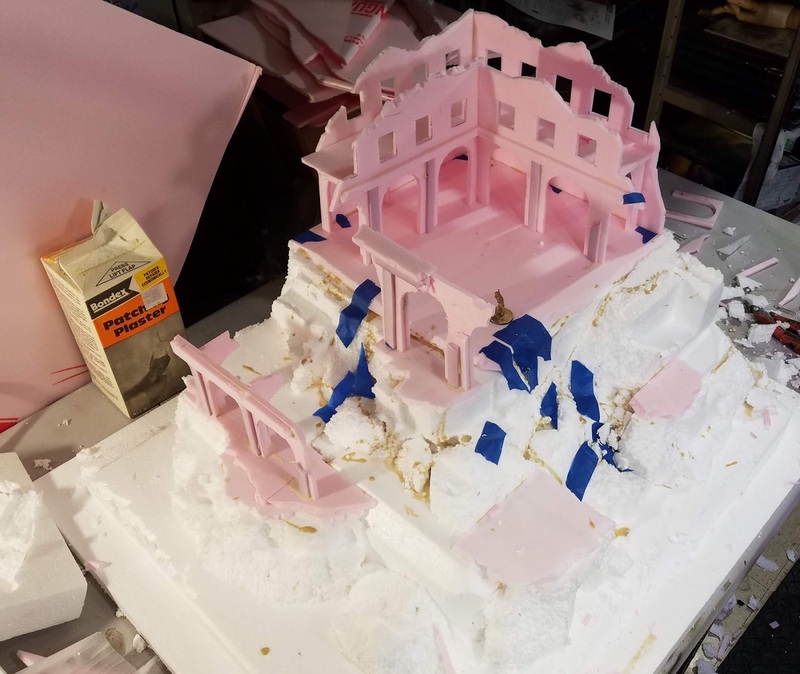 While I could use the sheets of pink foam, piling those up for huge terrain pieces such as these would get very expensive very rapidly!! 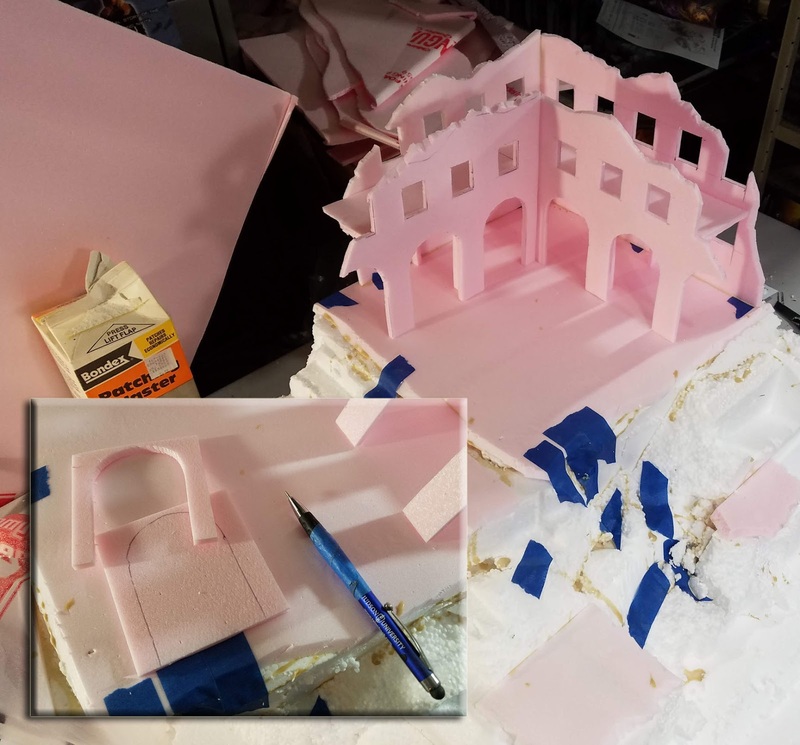 I positioned these on my primary sheet of harder white foam, hoping to utilize the flatter surfaces and even the "archways" that you see in the two foam pieces! 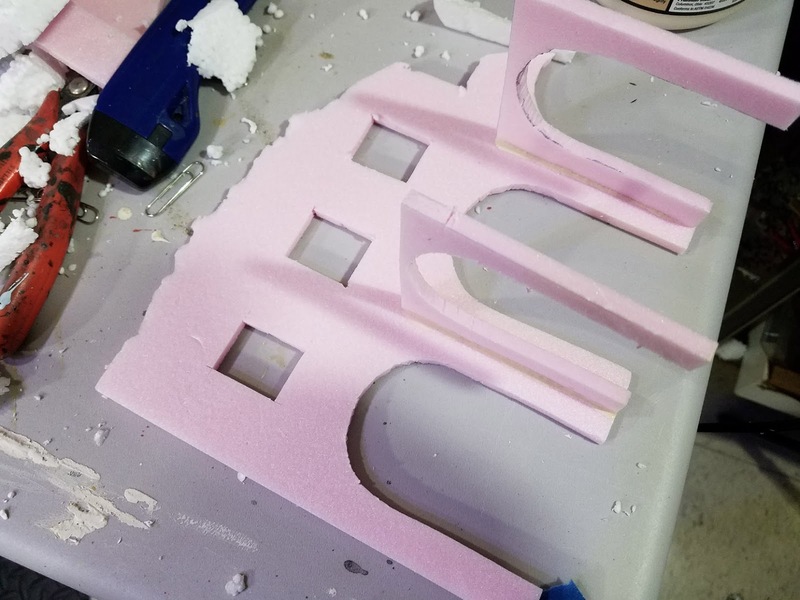 You can even see where I started to hack away at parts of the foam in the corner. 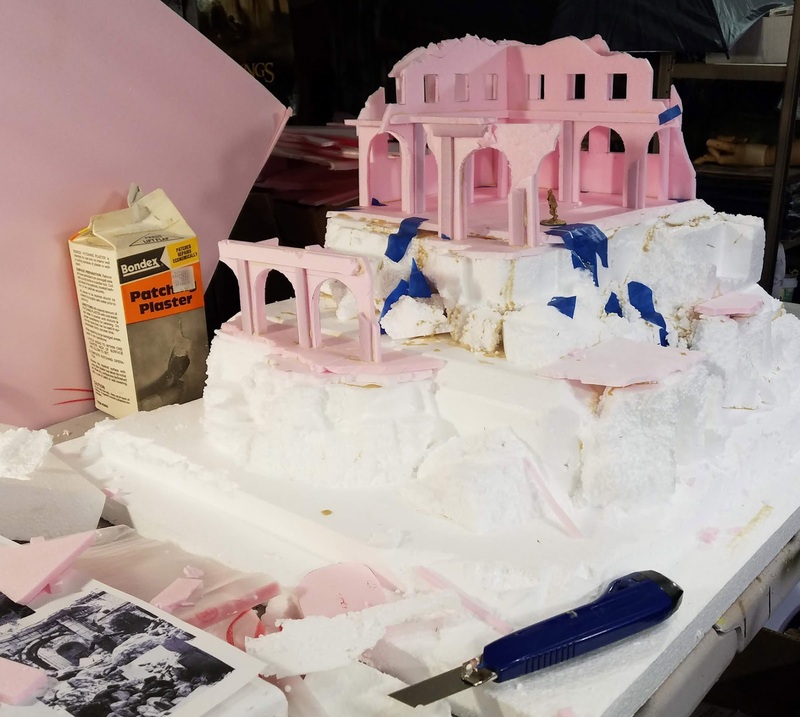 Around the stronger central "square" that provided the structure, I took more chunks of the softer foam and began breaking it up to form the shattered hillsides around the monastery. So many bombs were dropped on it, even parts of the hill itself were blasted away. I used a heavy wood glue to keep them in place. If I had some liquid nails, I would have also added that for long term strength. 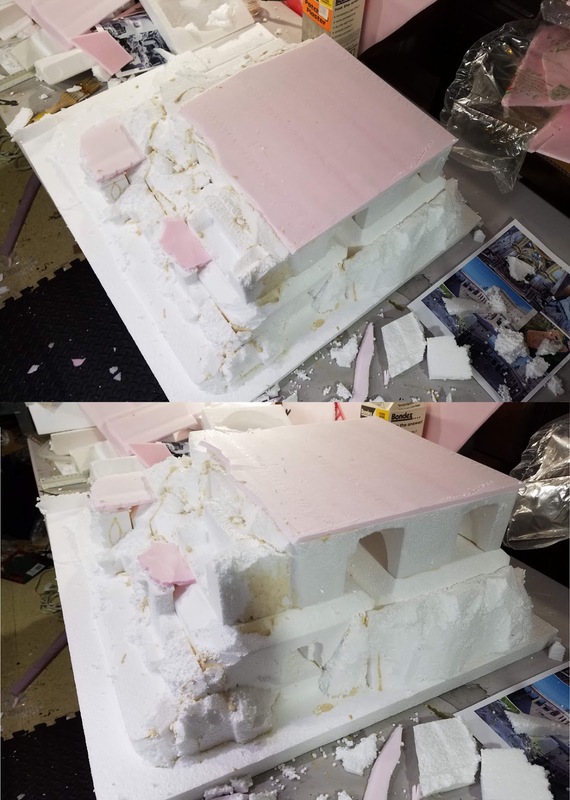 However, I did put dozens of very long metal pins into each piece of foam, so I suppose that I did have a type of nail! 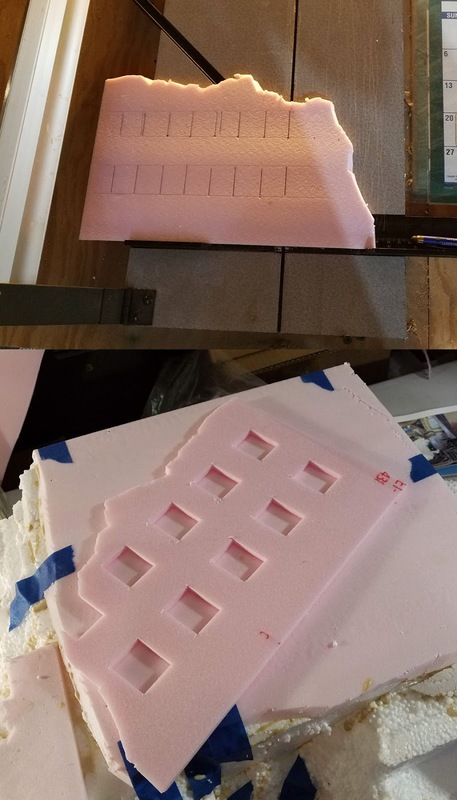 To create a few 'floor' sections, I used my normal thin underlayment foam. 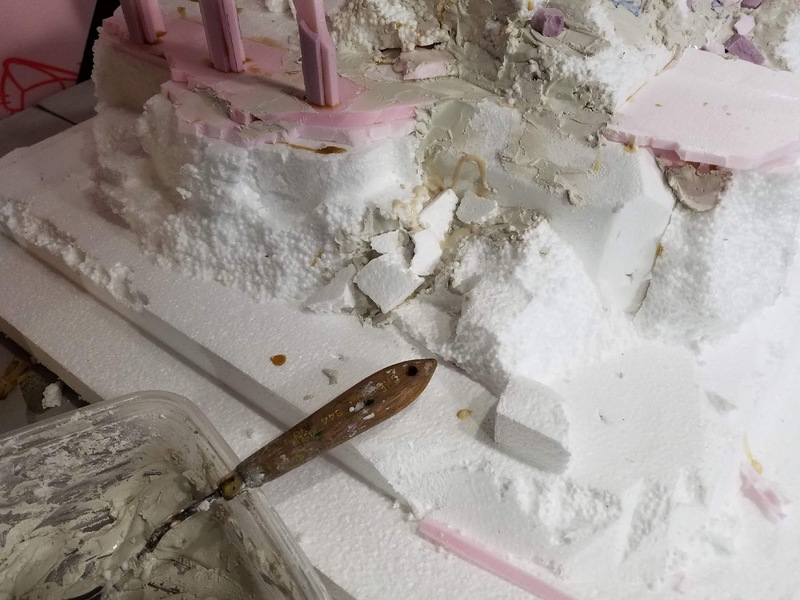 I will try to include a few of my reference pics in the next post to show you what I was trying to get, and how I had to fudge things. 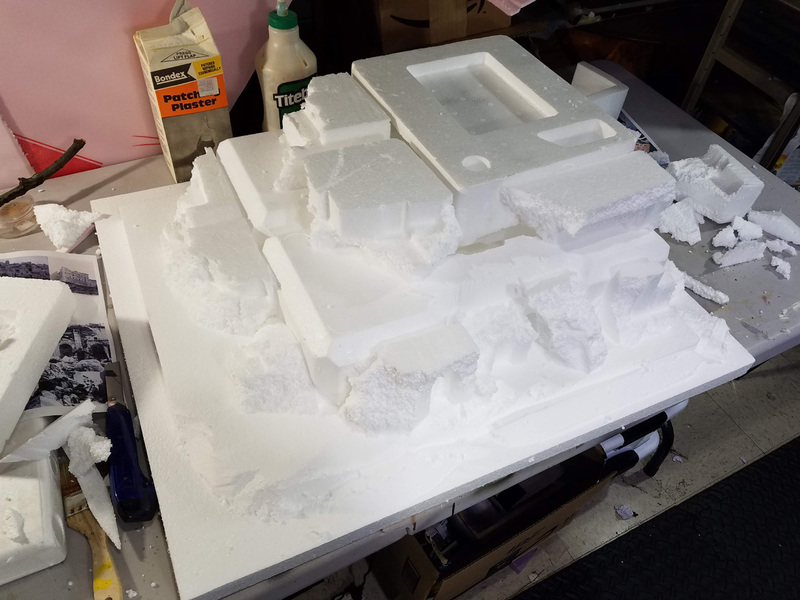 It is important to keep in mind that this had to serve as a display board and playable terrain piece, so I could not create the entire gigantic monastery on this one board. In effect, I took several iconic pieces of the building to create this vignette. I love the blue painters tape, as it helps to hold things together as the glue dries, and it peels away nicely if need be. 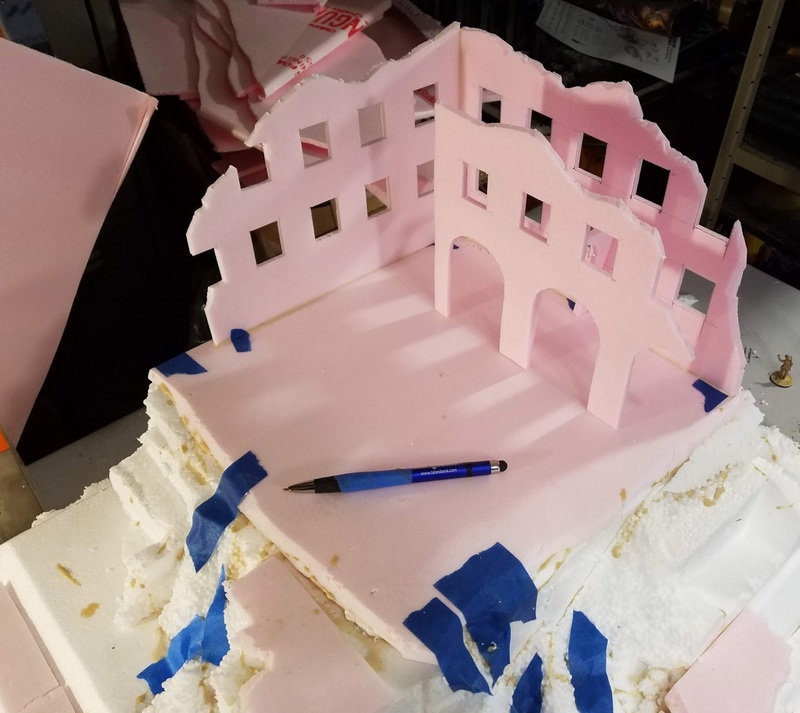 The rows of small rectangular windows were a very recognizable feature of the ruins, so I brought out the matt cutting machine to slice those out in a hurry, using the pink underlayment foam. 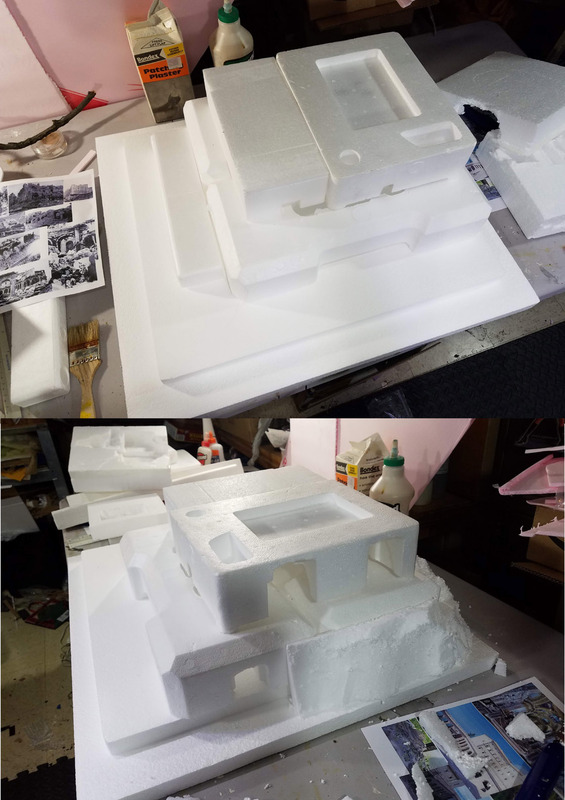 I made two sections to cover the corner, realizing that I wanted to have a second floor there to display my units, and for subsequent games. The tricky part would be the interior, which would face into a courtyard. 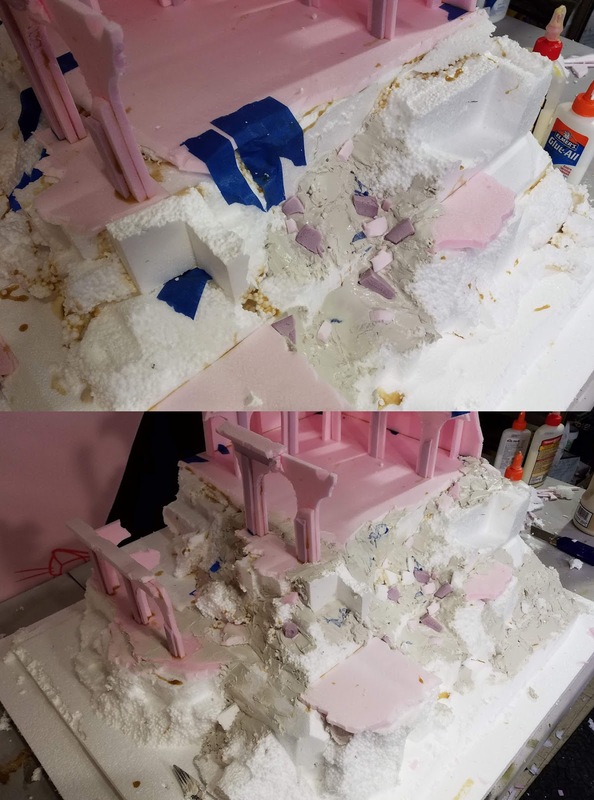 I also had to match a colonnade with arches that 'connected' the outer ring to an open plaza with stairs. You will see what I mean a bit later. 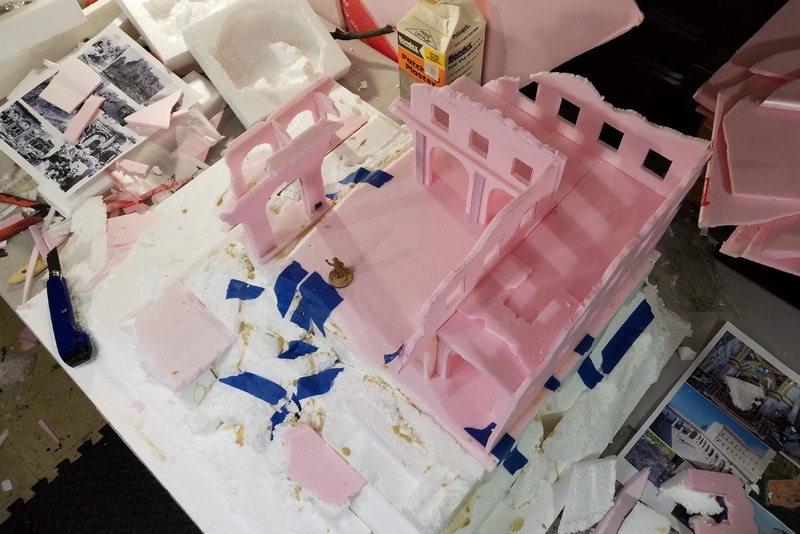 As you can see, the interior walls support that second floor, which is where the troops will be standing. It is important for them to be visible for people to see, and also easy for me to get at during a game! 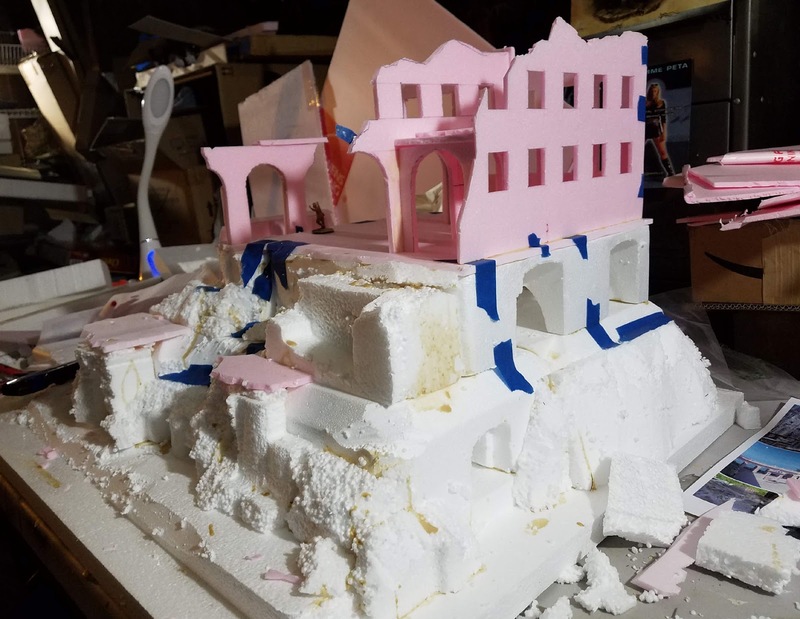 The insert shows the interior arches and columns that will add support along the outer edges where the rubble piles will be placed. 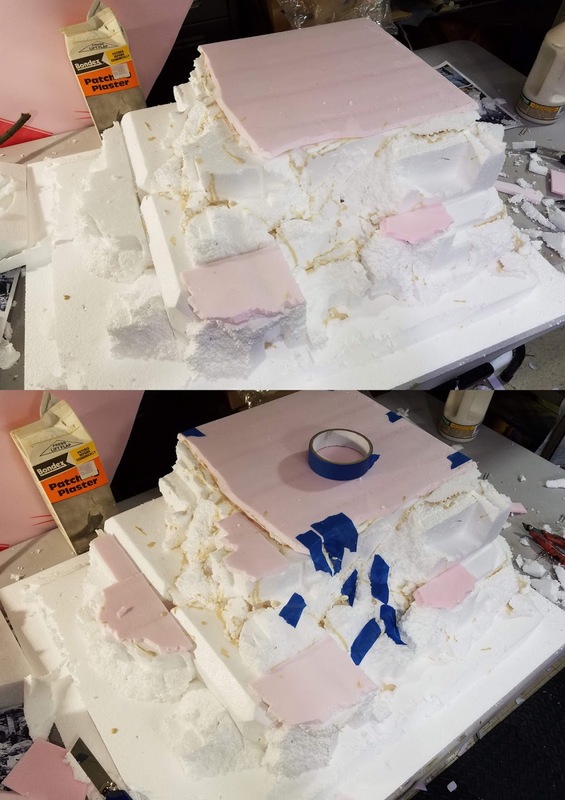 To make things more complex, this had to be removed for painting, so I could not glue everything in place. That can create a nightmare of trying to get things measured and in place, as stuff never seems to fit the same when it is glued, no matter how many times you dry fit it! 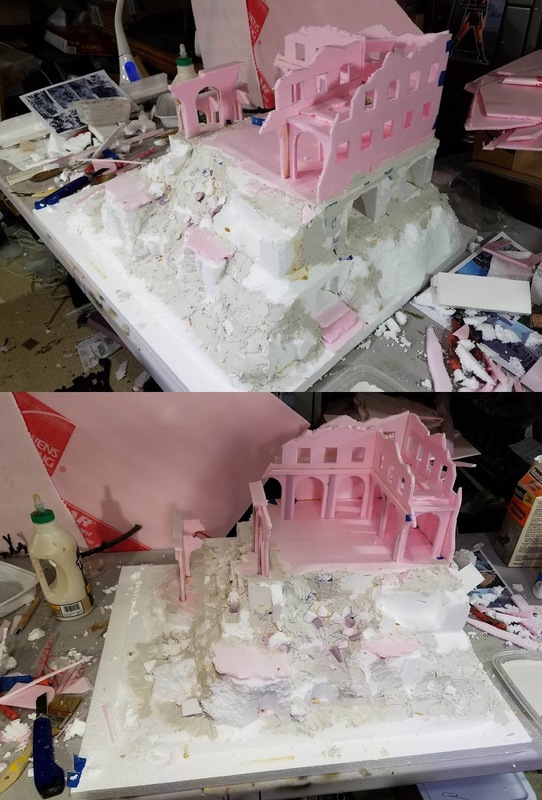 I will be adding a few broken walls to the interior of that second floor for stability and a touch of realism. As I will mention several times, you have to balance stability, playability and utility all at the same time, which means compromising on certain things. I also did not have a huge amount to time to spend on this, so getting the most out of each element is key. 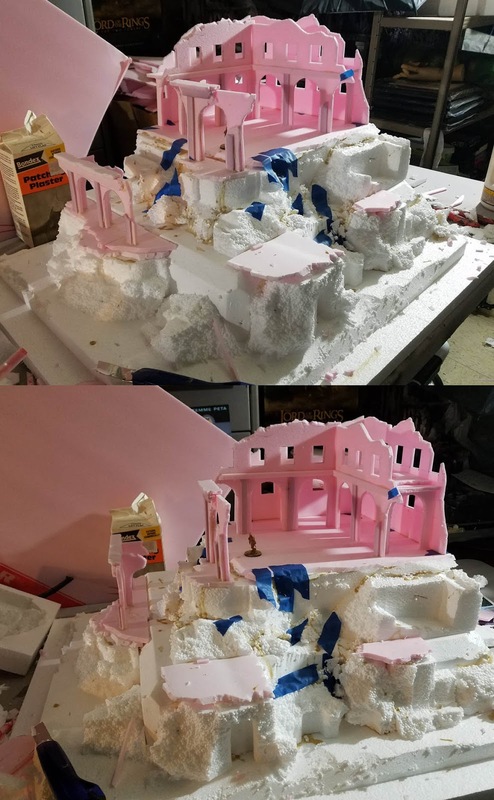 All along, I was using pieces from other armies as a scale reference. 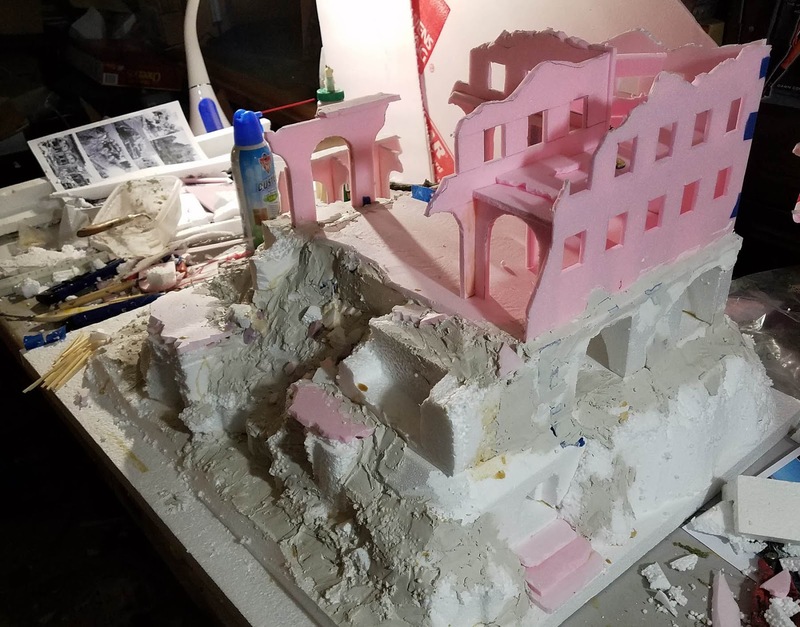 I made a few changes to the interior arches, since they did not fall where I wanted them to. 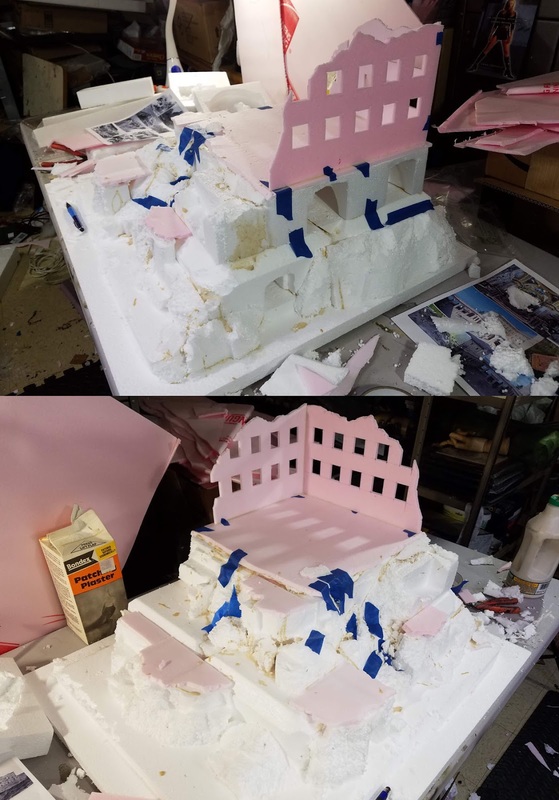 That is OK, because what too its place was easier to work with, and actually looked better while providing the same support to that second floor. I think you can see what I was trying to achieve with the archways. 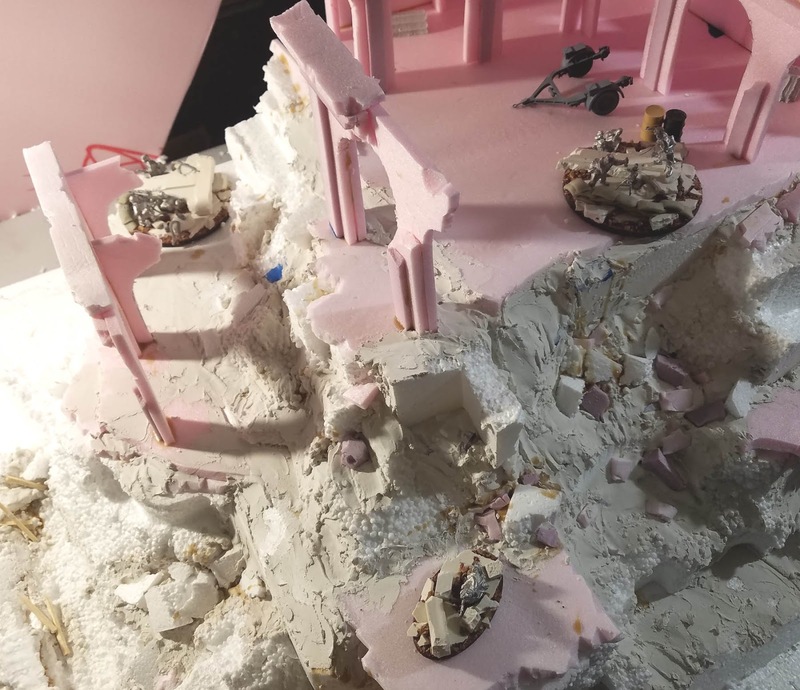 The idea is to have a few broken sections, and even a few pieces of those broken arches on the bases of my weapon teams! 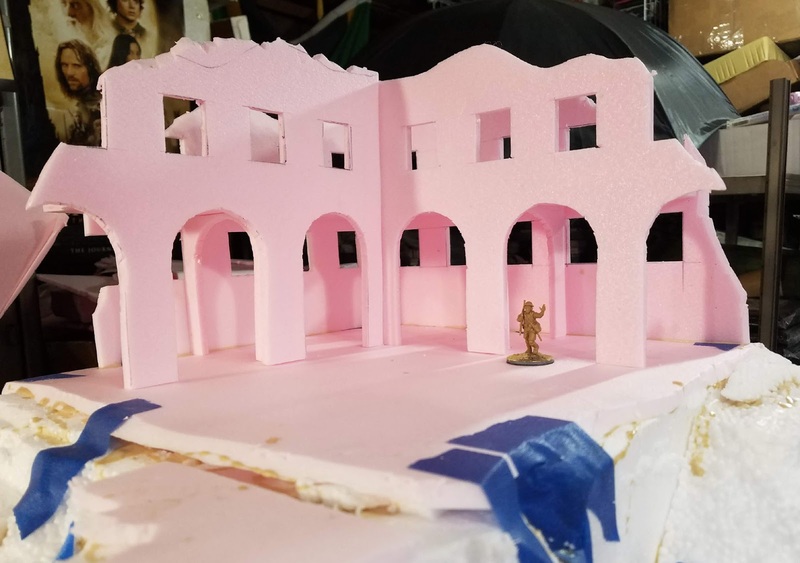 I was able to create a few of those sections for the Machine gun team and the Mortar crew. Here's what we had at the end of Phase 1. 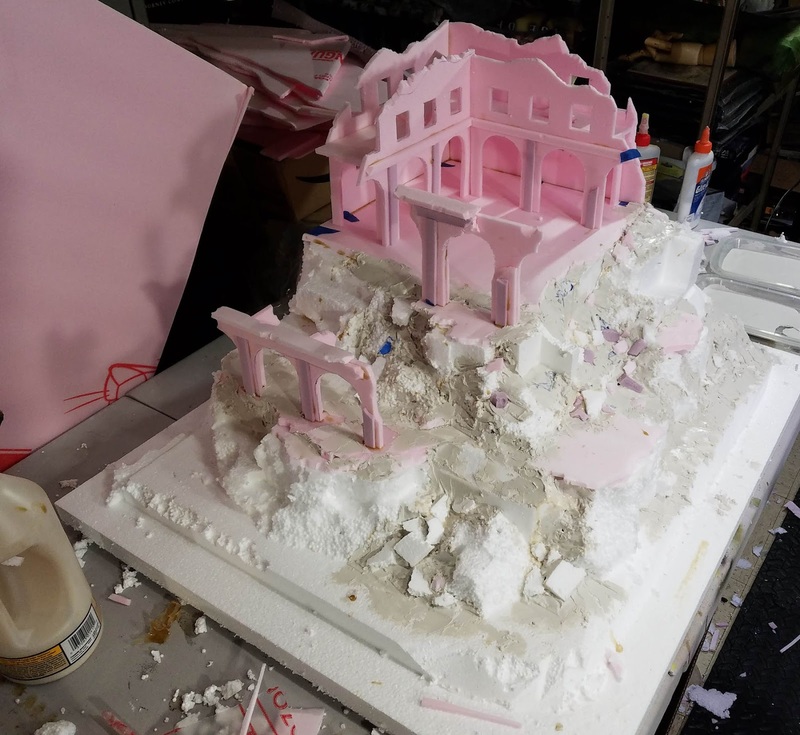 I needed to let all the glue dry so that I could start to add the largest rubble pieces, and the plaster too! This kind of tutorial is something that I am hoping to add in video form to the Patreon Page, but will require a host of new equipment. I might make that the next "goal" of the Patreon Page. Another camera, mount and other equipment is still needed. The side bonus of having this equipment would mean a huge improvement to battle reports, where I can show much more of the battlefield in sweeping views that don't shake, better sound, and a secondary camera for dice rolls and for tactic cards, etc. Here is a link to the page! To try an make him look more like the artwork, I put several layers of the Liquitex Heavy Gel over the flowing water sections. The idea was to have a tint of color in the gel, which would make it seem like water was splashing, especially off the end of the fingers. I also added some Secret Weapon water effects over the top of this to level things out, and get one more layer of shiny! Here's a link to the kickstarter campaign so that you can check it out!! 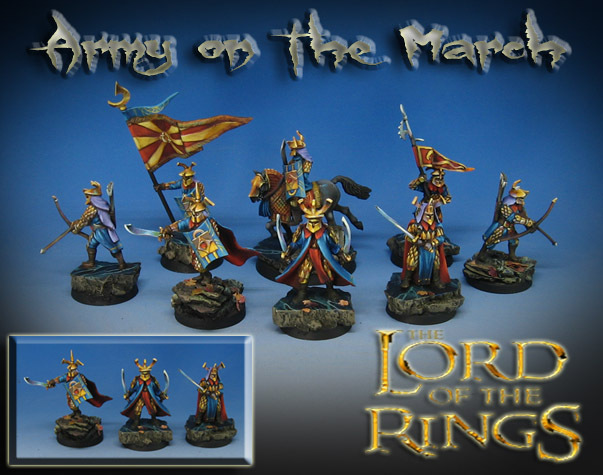 It is amazing to realize that the third Army Painting series is completed, and Series 4 is well under way! 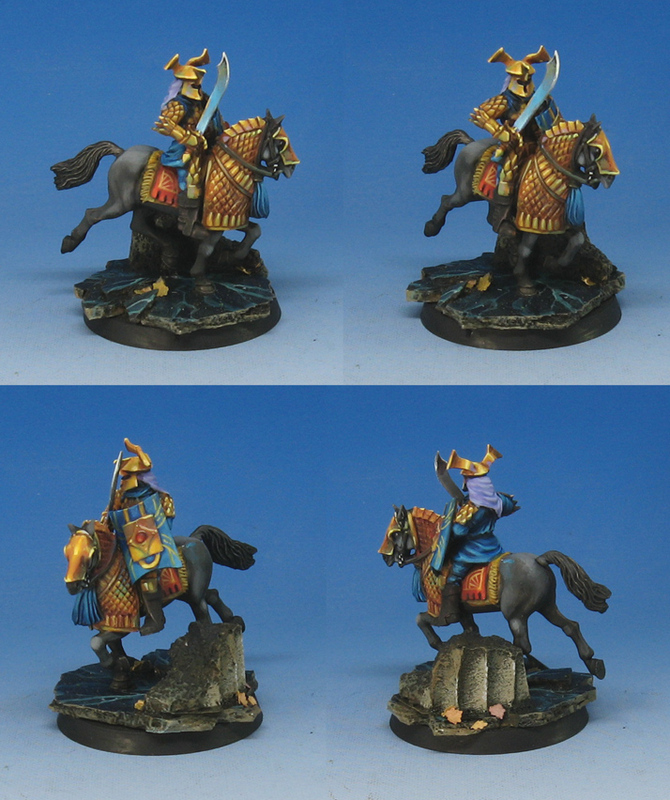 As I have mentioned several times, this one in particular was very gratifying, as I am replacing my beloved Easterling Army, which I had to sell off years ago. 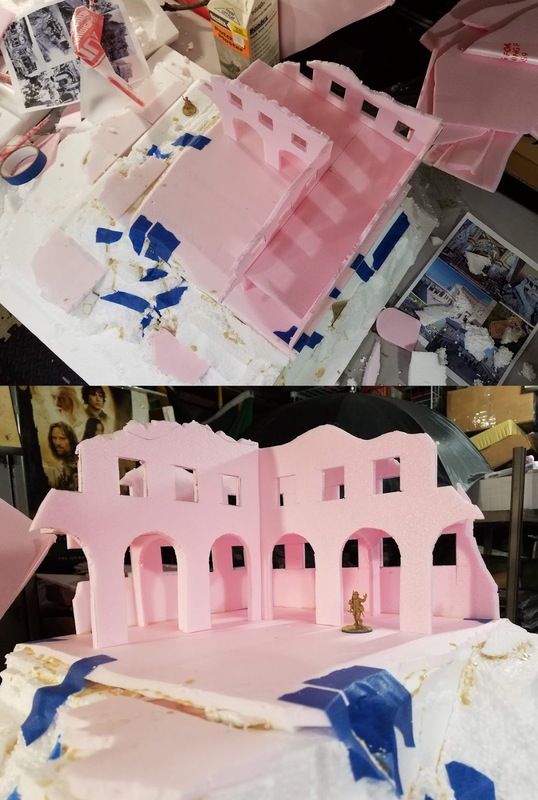 Since then, I have been trying to recover as many figures as possible, and rebuild it. 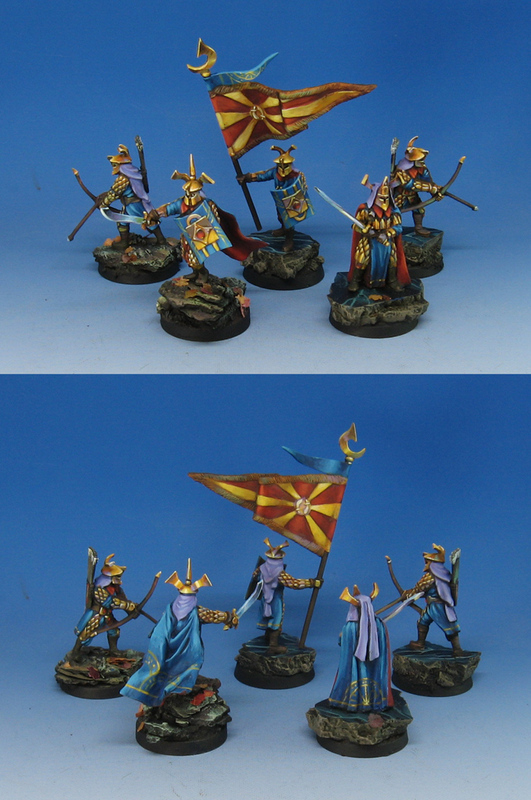 I thought it would be a very good set of tutorial episodes, since it would tackle a number of things people might run into as well... like replacing an army, matching old color schemes and so on. Another potential benefit would be watching me negotiate several different types of figures at once. That is, very old metal figures and newer plastics. 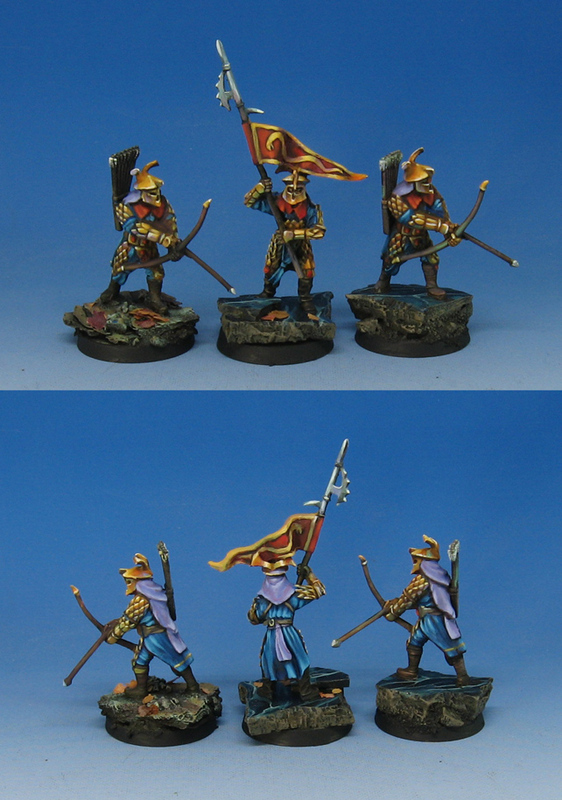 Also, working with archers, pikemen, sword wielding champions and special characters. 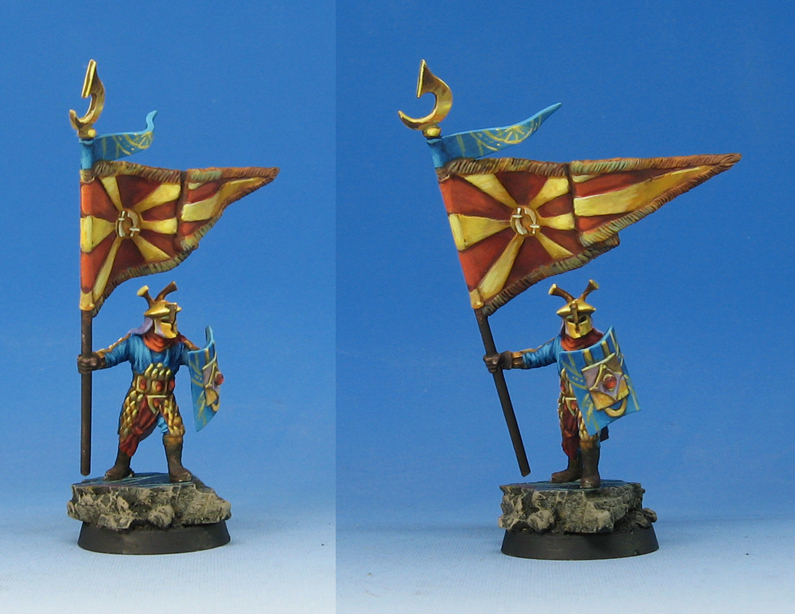 This was one of several conversions I made for the project, taking one of my very old plastic figures and putting a more recent banner on it. 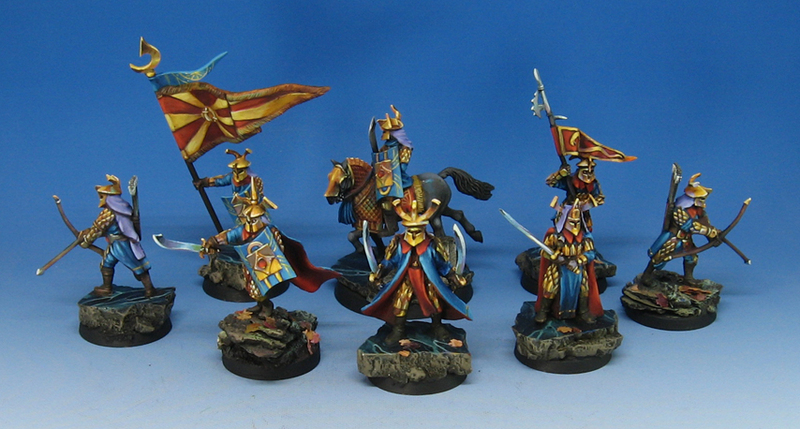 I even tried to cover painting cavalry figures, so a few of them are shown in the basing and painting process. Most armies involve figures of radically different types and sizes, unlike single figures. The vast majority of painting tutorials only show one figure being painted... or sometimes just a portion of 1 figure. It seemed this left a lot of people out in the cold when it came to approaching an army. 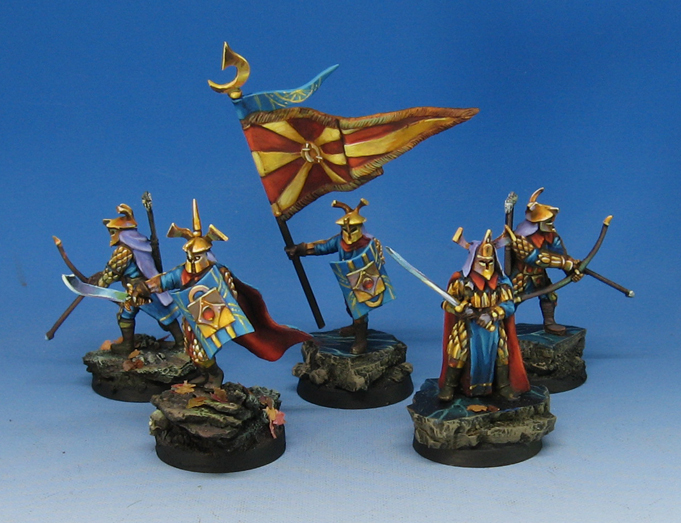 How do you decide on a color scheme, a basing scheme, freehand and other details? How do you figure out if these desired elements will make the project take 100 years before you get stuck in? In each series, I make a lot of alterations and course corrections that involve the "currency of time". It is always in short supply, and I have very little time to work on my own armies. So, I also need to figure out what is possible in that small amount of time, but maximize the results! 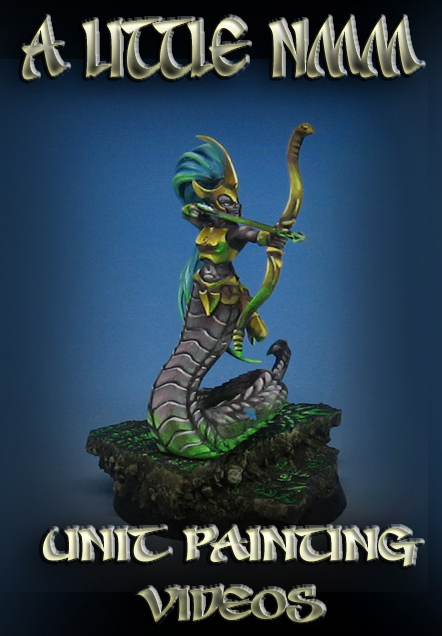 I try to present as many options as possible... and in future series I will be showing how to do the same unit with metallics, in case you are not comfortable doing the Non Metallic technique. There's a series that was done entirely with oil paints! Again, the idea is to present you with as many options as I can.